Air pollution hits everyone. It is impossible to hide from it, even inside your private home. Here are some facts. According to the Environmental Protection Agency, indoor air quality is a bigger health hazard than outdoor air pollution with pollutants being up to 100 times higher indoors. More than a 50 percent of the homes and offices which had tested have poor quality air. Air pollution inside the home can be two to five times higher than outdoor. More than a half of the United States population lives in areas which have unhealthy levels of either ozone or particle pollution. 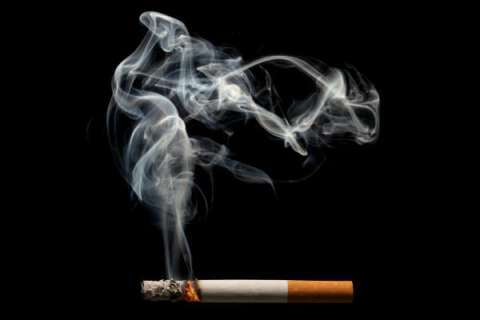 Environmental tobacco smoke (ETS) also named “secondhand smoke” a significant indoor air pollutant, contains about 4,000 chemicals, including 200 known poisons, such as formaldehyde and carbon monoxide, as well as 43 carcinogens. Formaldehyde is a familiar chemical, found primarily in adhesive or bonding agents for many materials found in households and offices, including carpets, upholstery, particle board, and plywood paneling. Heating systems and other home devices using gas, fuel, or wood, can produce certain combustion products. The most dangerous are carbon monoxide (CO) and nitrogen dioxide (NO2). I bet you don’t want to live in the polluted home, right? Healthy air is necessary for a healthy home. How to know if your home is healthy? You may sneeze, cough, wheeze, but you don’t know why? Maybe you don’t have any health problems but you still want to know is your home healthy? Use a simple do-it-yourself air quality testing kit or get a professional home or office air check kit to answer your questions. Do-it-yourself air quality testing kit types. Allergen Test Kits. These kits recognize and identify familiar indoor allergens including pollen, dust mites, mold spores, insect fragments, fibers such as those from fiberglass, and skin cells. Mold Test Kits. 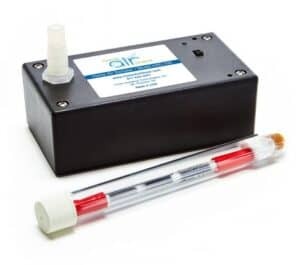 These kits discover and identify multiple types of airborne mold in unsafe places such as basements, bathrooms, crawl spaces, attics, carpeting, and more. Formaldehyde Test Kits. These kits recognize and identify dangerous applications of airborne formaldehyde, which has been reported as a probable human carcinogen by the U.S. Environmental Protection Agency. Organic Vapor Test Kits. These kits detect and identify over 40 organic compounds and over 50 volatile organic composites (VOCs) being in your environment. Lead Test Kits. These kits discover and identify toxic lead on your home’s surfaces. You can also get complete home air testing kit which includes four do-it-yourself test kits. This package includes two allergen test kits, an organic vapor testing kit, and a lead testing kit. All materials and lab fees are included in the price. Professional home or office air check kit. An affordable and complete read on the air you breathe you can get from Home Air Check. These air check kits are used in more homes and apartments than any other air test kits. The company offers accurate, easy-to-read results and a simple process in four easy steps. Test air. Use a test kit to collect air samples. Return the test kit together with the samples within 14 days using the provided pre-paid shipping label. Get results from an e-mail along with guidance for improving your air. A professional-grade air tests without the professionals arriving at your home. Tests for a wide range of air vapors. You get a complete report of the findings and suggestions on how to proceed. Posted in Air Quality Testing and tagged Air quality testing, Allergen test kit, home air check, Indoor Air Quality, Mold test kit, testing kit.